I am very passionate about helping you take the hassle out of health and wealth. One of the key ways you can do that is to free up brain space, which will let you do the best that you possibly can when it comes to your business! Do it, delegate it, or delete it. No Delayed Decisions! If you're planning on doing something with that e-mail, it's best to do it quickly. Get it out of the way as soon as possible. Respond if you have to. However, if it's something that'll lead you down a rabbit hole, delegate it to yourself or someone else and forward it right away. If you need to take care of it, mark the space down immediately on your calendar to do so. Lastly, a lot of us delay the decision of deleting an e-mail despite knowing we aren't going to do anything with it. We end up just passive-aggressively ignoring it and it never gets anywhere! The e-mails just pile up! 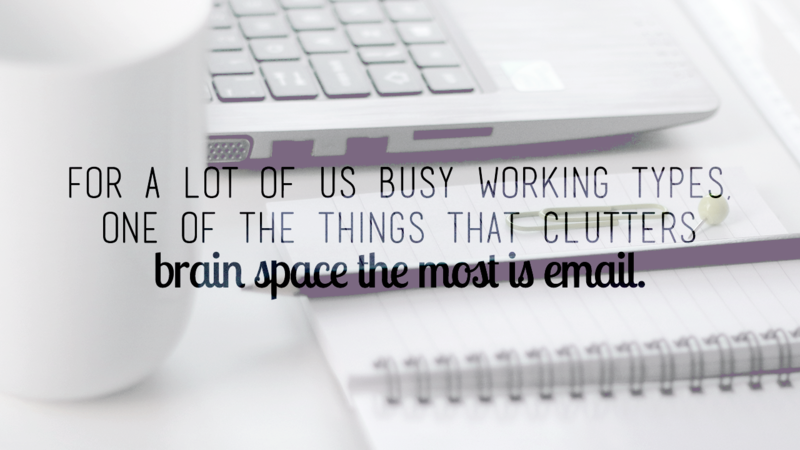 If that's the case, simply delete that e-mail and save yourself the headache. Does deleting freak you out? Archive it! Make use of the amazing search functions provided by the e-mail service. If you find yourself procrastinating, convincing yourself you'll come up with some sort of filing system, consider junking that idea. Archive e-mails instead, or create a catch-all folder. Remember, you can always use the search function for when you want to come back to them later on! Now, a lot of these e-mails that you end up deleting actually come from e-mail lists, most of which you probably don't even pay attention to or have interest in anymore. If you find yourself in this position, I have one amazing tip for you: use unroll.me! With unroll.me, you can quickly unsubscribe to a ton of those e-mail lists in a flash or delegate them to a space of their own! Unroll.me comes with a free version and a premium version with more features. Good luck with your e-mail management!